The higher education institutions across the globe are steadily increasing their usage of the web platforms to disseminate information to its stakeholders. In this background, it becomes important to make these resources inclusive. An inclusive website of a higher education institution will facilitate seamless access to its resources for Persons with Disabilities (PwDs). 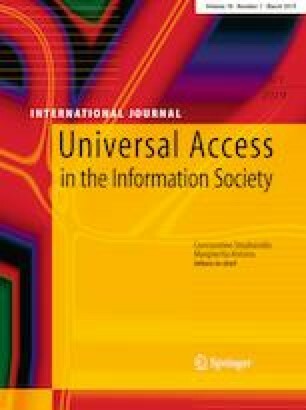 This paper presents an accessibility analysis of 59 higher education websites of Portugal. Both Polytechnic (19) and University (40) websites were incorporated into the study. The accessibility analysis is carried out with three major tools: AChecker, WAVE, and aXe. With respect to the AChecker tool, the average of known problems was observed almost doubled in Universities than Polytechnic Institution websites of Portugal under all levels of conformance. With respect to WAVE tool, we found that the average of alerts, structural elements, and HTML5 & ARIA in terms of web accessibility status of websites of Polytechnic Institutes are less than the Universities, but contrast errors are found with more frequency in Polytechnic Institutes than in universities, and the average of errors and features are almost the same in both of the cases. Also, we found that the average number of violations and needs of review guidelines as per aXe tool are 50.84 and 21.47 in Polytechnic Institutes’ websites and 30.75 and 27.83 in Universities websites belonging to Portugal, respectively. Based on scores obtained by these accessibility analysis tools, the outliers of accessibility violations are calculated with respect to websites of Polytechnic Institutes and Universities of Portugal. Moreover, we also suggested and discussed the important clues to solve the accessibility violations of websites along with their issue descriptions among the selected websites in this study. Hence, this analysis report provides the feedback to website administrator and web developers to improve the accessibility evaluation status of these websites.